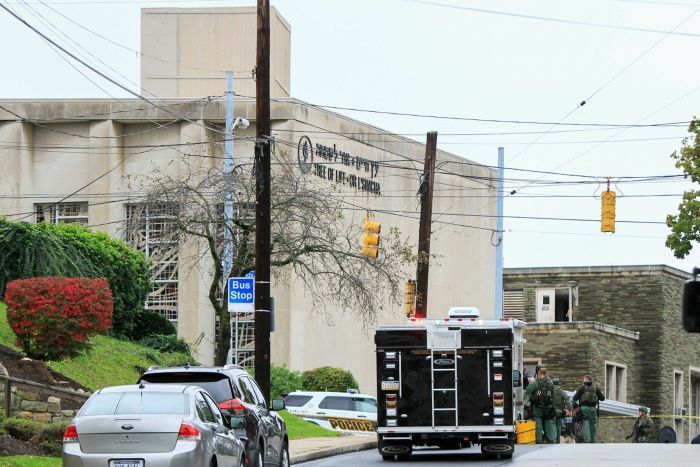 A gunman who stormed a Pittsburgh synagogue during Saturday services while yelling “all Jews must die”, killing 11 worshippers and injuring six others, has been charged with murder. The suspect, 46-year-old Robert Bowers of Pittsburgh, was taken into custody after a shootout with a SWAT team during which four police officers were wounded. Federal prosecutors charged him with 29 criminal counts including 11 counts of use of a firearm to commit murder during and in relation to a crime of violence. “The actions of Robert Bowers represent the worst of humanity,” US attorney for western Pennsylvania Scott Brady told reporters. Special agent Bob Jones of the Federal Bureau of Investigation, which is leading the probe, said the crime scene was the worst he had seen in 22 years with the agency. Local television station KDKA cited police sources as saying Bowers walked into the building and yelled “all Jews must die”. In another, he slammed US President Donald Trump for doing nothing to stop an “infestation” of the United States by Jews. Mr Jones said Mr Bowers was armed with an assault rifle and three handguns. The pair exchanged gunfire, Mr Jones said, and Mr Bowers re-entered the building before a SWAT team arrived. After a shootout, he surrendered. The comment was posted on Gab, a Philadelphia, Pennsylvania-based social networking service created as right-wing alternative to Twitter. In a statement, Gab.com confirmed the profile belonged to Mr Bowers and also said it had suspended the account and contacted the FBI about it. The mass shooting prompted security alerts at houses of worship around the country. It follows a spate of pipe bombs found mailed in recent days to prominent political figures, mostly Democrats, including former president Barack Obama. Shortly after reports of the shooting emerged, Mr Trump said in a tweet he was watching what he described as a “devastating” situation. He also called the shooting a wicked act of pure evil, called on Americans to rise above hate, and ordered US flags at the White House and public buildings to be flown at half-staff. He said he would visit Pittsburgh, but did not say when. 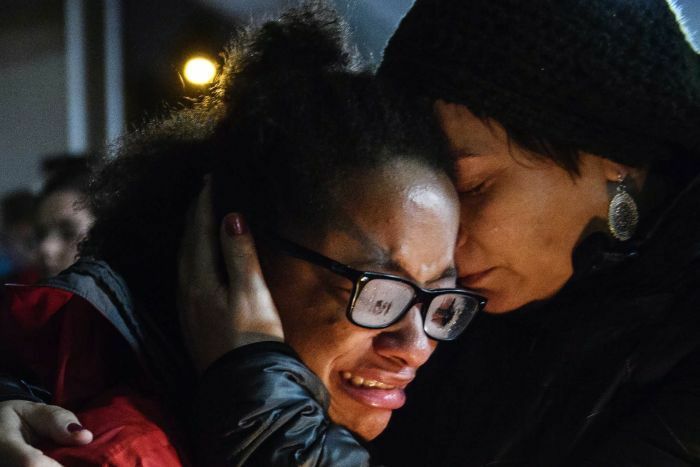 In the city on Saturday night, mourners held a candlelit vigil for the victims under light rain. The Islamic Center Of Pittsburgh offered its deepest sympathy and condolences, and called on its community to donate blood. On April 13, 2014, a pair of shootings occurred at a Jewish community centre and a Jewish retirement community, both located in Overland Park, Kansas. A total of three people were killed in the shootings. In 2012, a neo-Nazi gunman with white supremacist ties walked into a Sikh gurdwara — or house of worship — in Oak Creek, Wisconsin, and murdered six Sikh Americans. Next articleWhy have Gulf-based Filipinos fallen in love with Armenia?